Location: Serial number plate on the front right of the tractor frame, above the front axle. 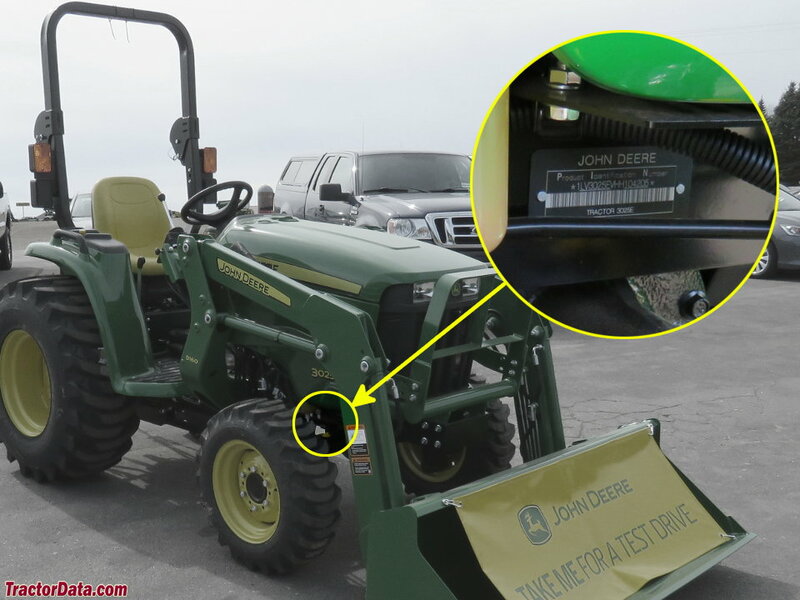 PTO (claimed): 17.4 hp [13.0 kW] *The Deere web site sales features claim 19.4 HP. The operator's manual lists 17.4 HP.